I recently had the pleasure of working on a project for Moneysense Magazine to follow three families going through their morning/lunch/evening routines, while focusing on the mothers and their children. Having a little girl of my own, I’m all-too aware of how difficult these routines can be, so a big thanks goes out to the families opening their doors for me. Stacey Grewal comforts her youngest son Dhillon, 2, who is sick with a high temperature at their home in Brampton, Ont. 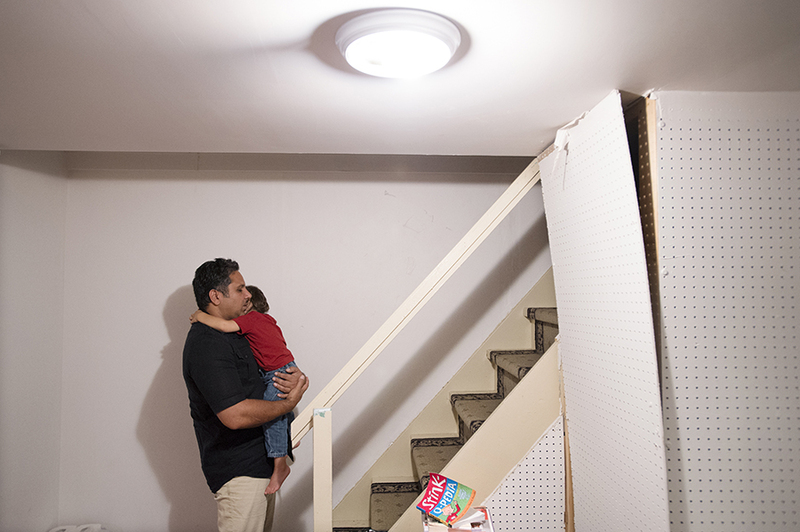 Ruby Grewal comforts his youngest son Dhillon, 2, who is sick with a high temperature in the basement of their home in Brampton, Ont. 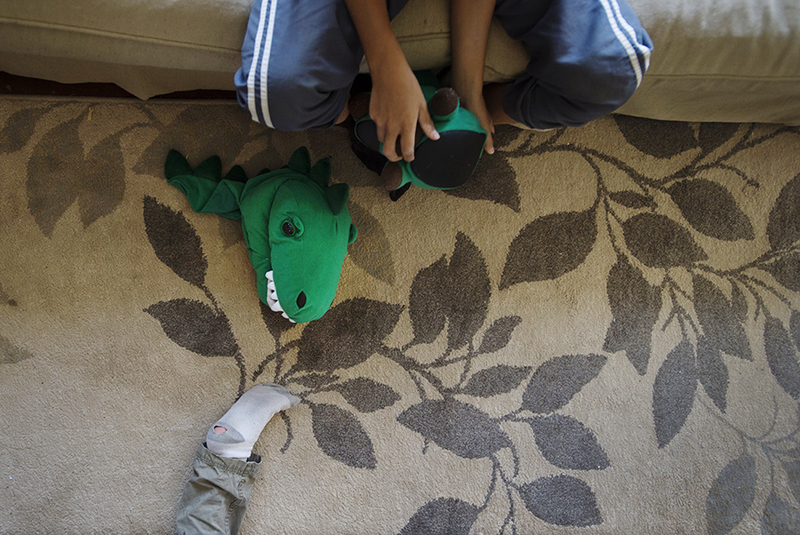 A dinosaur head and torn sock at the Grewal home in Brampton, Ont. 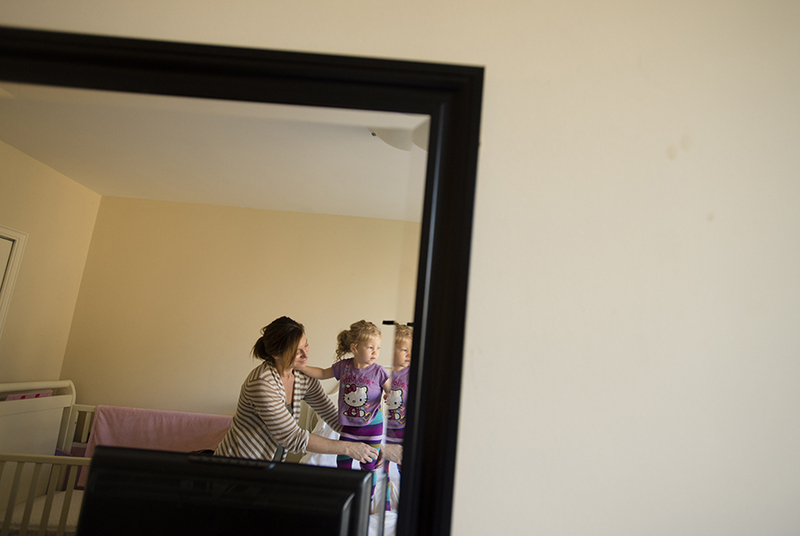 Rosalind Tantalo is reflected in a mirror while trying to dress her two-year-old Hillary before daycare in Toronto. Two-year-old Hillary plays on a tablet as Rosalind Tantalo prepares for work in Toronto. Two-year-old Hillary cries as mom Rosalind Tantalo tries to brush her top teeth before daycare. Rosalind Tantalo prepares for work as her two-year-old Hillary has an arm-full of dolls before daycare in Toronto. Two-year-old Hillary holds an arm-full of dolls while waiting at the door to leave for daycare. 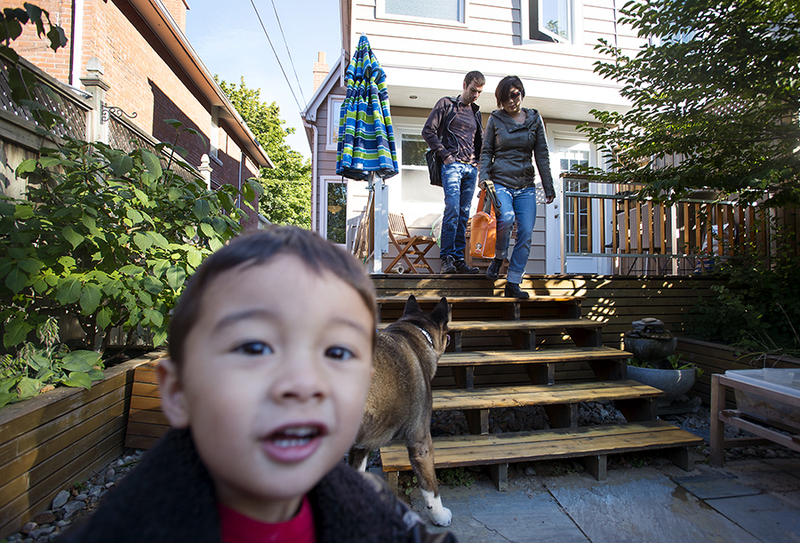 Tina Jones, right, and husband Kevin McCullagh leave the house with son Leo on their way to daycare in Toronto. Tina Jones, puts her son Leo in the car before daycare in Toronto. 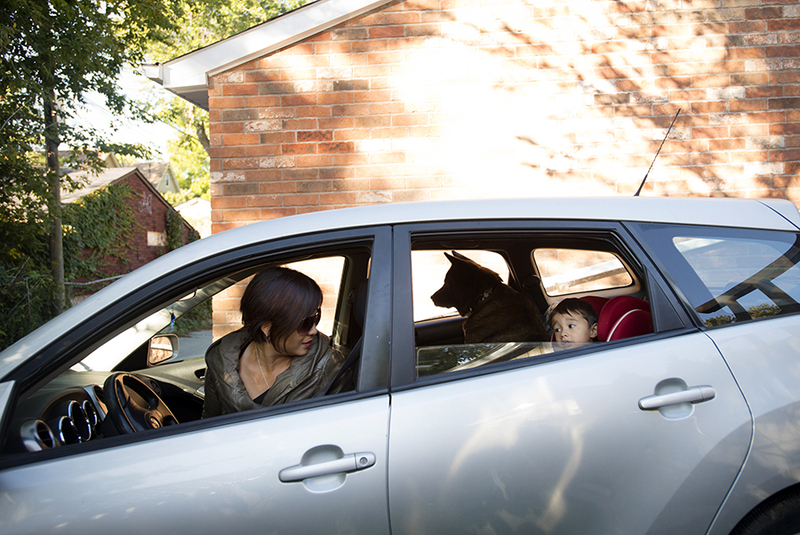 Tina Jones, left, checks on her son Leo and her dog Sachi in the backseat while on their way to daycare in Toronto.